Building a dog ramp is a relatively easy woodworking project. Find a plan below that will fit your dog. 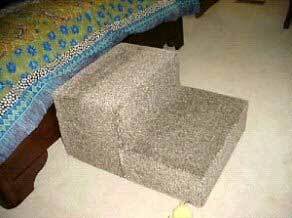 Instructions for building dog steps out of styrofoam insulation panels, adhesive and astro turf. 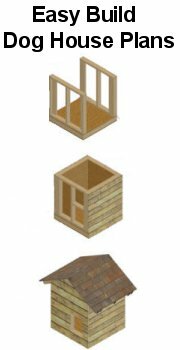 This plan will help you create a custom built dog ramp in measurements that will best fit your pet's needs. 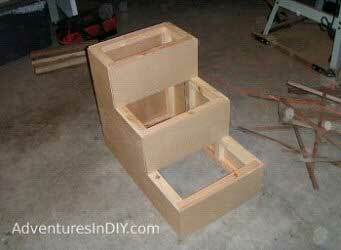 Make your own dog steps using this plan with step by step format and pictures demonstrating the construction. 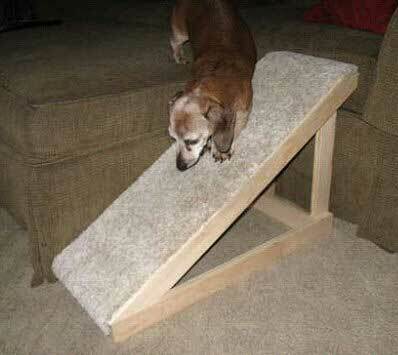 This is a very easy to build dog ramp that helps your pet up and down when jumping is no longer an option. 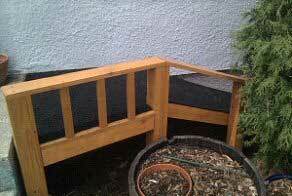 Instructions for building an outdoor dog ramp with railing that works great for older dogs or dogs with health issues.